Longtime Tire Review Editor Jim Smith passed away on Feb. 18, 2016. He was 57. 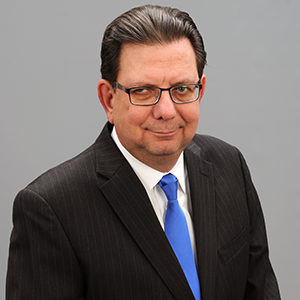 With 30 years in the tire and automotive industries, Jim's communications experience included stints as a newspaper reporter and editor, a public relations manager and a variety of creative and management roles with a B2B marketing communications agency. A Kent State University journalism major, Jim served as editor for a number of community newspapers in Northeast Ohio before joining Modern Tire Dealer in 1984. After four years in brand and corporate public relations roles with Bridgestone Americas, Jim joined Nashville's Stumpf Bartels Advertising in 1992. He became Tire Review's editor in October 1999. Jim was honored with the Ed Wagner Tire Industry Leadership Award by the Tire Industry Association in November 2014. The long-term survival of independent tire distribution depends on dealers. The best ones are the smart businesspeople that build customer-first cultures, make finding and nurturing good employees a priority, and spend their time on the business and not in the business. We created the Top Shop Award program with a single purpose: leverage the very best independent dealers are examples that other dealers can emulate, perhaps even reveal profit-producing ideas and concepts that could be adopted. Top Shop was built on the simple premise that a rising tide lifts all boats. Education supported by real-life examples provides the basis for improvement and growth. From February 2007 when we formally announced Top Shop, the positive response to the program has been overwhelming. Gatto’s Tires & Auto Service, a second-generation dealership based in Melbourne, Fla., was the first Top Shop Winner, and eight others – including our first two-time Winner (2008 and 2015) Atlantic Tire & Service in Cary, N.C. – have joined the exclusive club. 2016 is Tire Review’s 115th anniversary, and we have declared it the Year of the Independent Tire Dealer. We’re starting the year spotlighting those who are “Proud to be an Independent Tire Dealer, and wrapping things up celebrating the 10th anniversary of the Top Shop Program. Month after month you’ll see compelling content all designed to help you improve your place in the market. We’re excited to report that Hennessy Industries continues as the presenting sponsor of the Top Shop Program for a 10th year, which will be our biggest and best yet. The prize package has been improved, with the Winner getting a $2,500 cash prize, and the three Finalists will each get $1,000. And the 2016 Winner will join past Winners and others for a special live event in Nashville this coming Fall. We’ll have more details on the prize package later, but you’ll want to get in on this. So starting today, we’re accepting entries for the 2016 Top Shop Program on our website at TireReview.com. The entry period will close on Friday, June 3. Be that tide and help your business and those of your independent tire dealer brethren. This marks my 195th issue helming Tire Review, and I hope you enjoy reading it as much as we enjoy creating each edition. Getting the magazine in your hands each month depends a lot on having the right information – and your approval – to move your copy from printing press to inbox. We know you are busy, so we’ve streamlined our subscription renewal system to help you maintain your free monthly copy of Tire Review. Please take five minutes – literally, it’s just five brief minutes – and go to TireReview.com/subscribe and renew your subscription. We ask just a handful of necessary qualifying questions to help you maintain your subscriber status. If you don’t renew, your monthly copy of Tire Review will disappear from your desk. I am very proud to be a member of the board of directors of the Center for Tire Service Education. Working with a group of interested tire dealers like yourself and others affiliated with the business, we created the successful Tire Leadership 21 program. Tire Leadership 21 is an intensive two-week deep-dive education program developed to help up-and-coming next gen dealership owners and managers and others in the tire industry improve their business management and leadership skills. TL21 covers a wide range of business, management and leadership topics critical to the success of independent tire businesses – retail, wholesale and commercial. The university-level curriculum includes sessions on finance, accounting, business strategy, management, corporate vision, leadership, operations, industry trends, marketing, team and corporate culture, customer experience, critical thinking and problem resolution. I’ve sat through many sessions over the past two years and have been impressed by the level of engagement between the “students” and the instructors. Northwood University serves as host and provides a bulk of the instruction; other subject and industry experts assist with specific subjects. Registration has started for the 2016 sessions, and only 30 seats are available – and I have been advised that space is filling up. The first week of the split session is schedule for April 10-15 at Northwood’s campus in Midland, Mich. The second week will be Sept. 11-16 in Raleigh, N.C. The program fee is $5,995 and includes everything except for travel and lodging. Scholarship money to help offset the cost will be available, and industry suppliers interested in becoming sponsors and help us build a significant scholarship fund can contact me directly. More information and registration is at www.universityoftheaftermarket.com or call 800-551-2882. 2015 will go down as the busiest major tire news year ever. From January when Goodyear announced its online sales plan to ChemChina acquiring Pirelli to the return of mandatory tire registration and so many other huge stories in between, the Tire Review team has worked tirelessly to keep you up to date on the important information that you need. With the New Year just days away, we want to thank you for your support and encouragement, and reaffirm our pledge to help you thrive. On behalf of Randy Loeser, Kristen Criswell, Carley Hull, our fantastic contributors and everyone here at Babcox Media, we want to wish all of you a Merry Christmas, Happy Hanukkah, and blessed 2016.